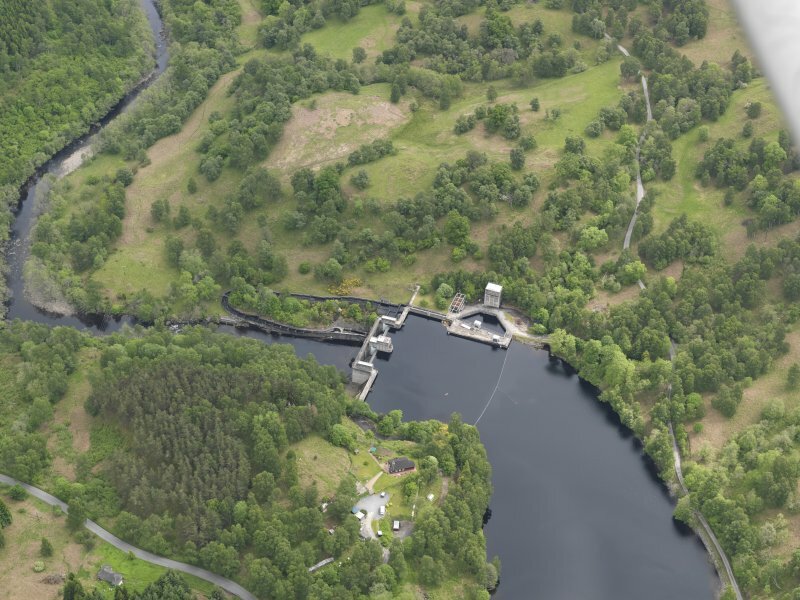 Oblique aerial view of Clunie Dam, taken from the W.
Oblique aerial view centred on the dam, taken from the W.
Oblique aerial view of Clunie Dam, taken from the NW. 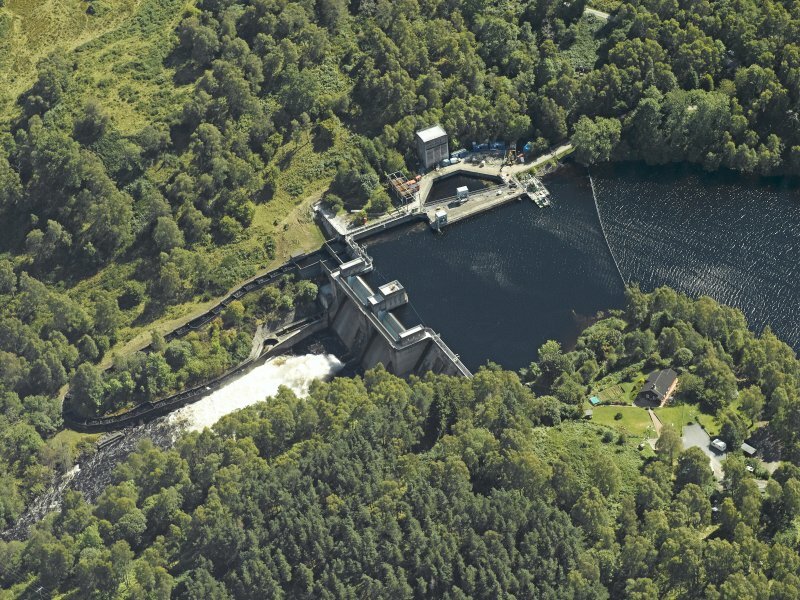 Oblique aerial view of Clunie Dam, taken from the NNW. 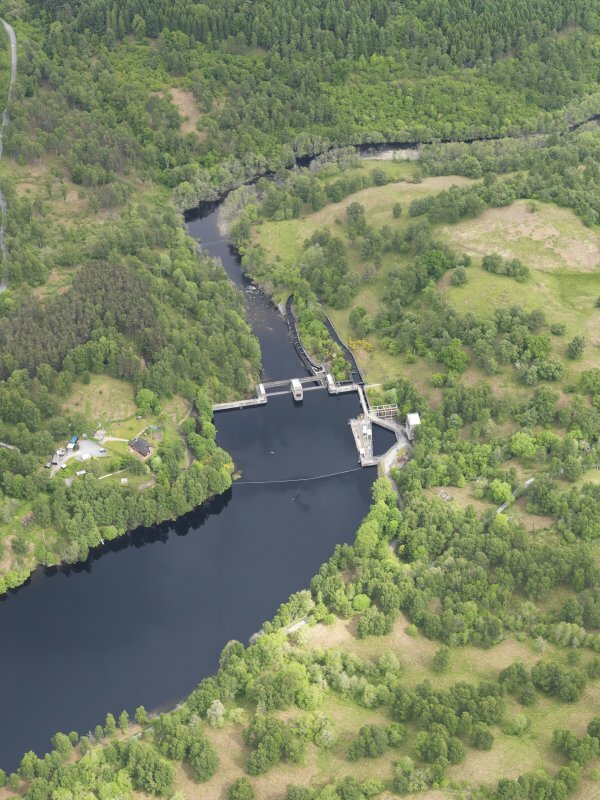 Oblique aerial view centred on the dam, taken from the E.
Oblique aerial view centred on the dam, taken from the ESE. 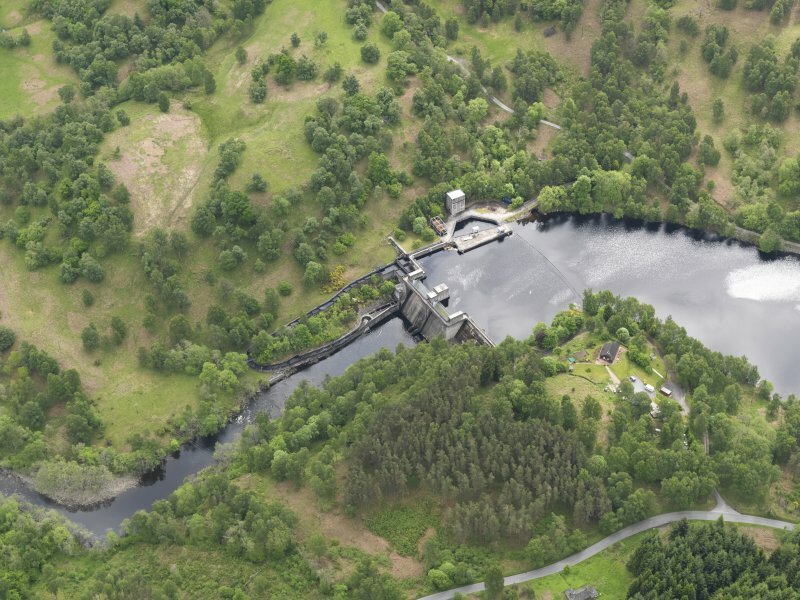 Oblique aerial view centred on the dam, taken from the NE. 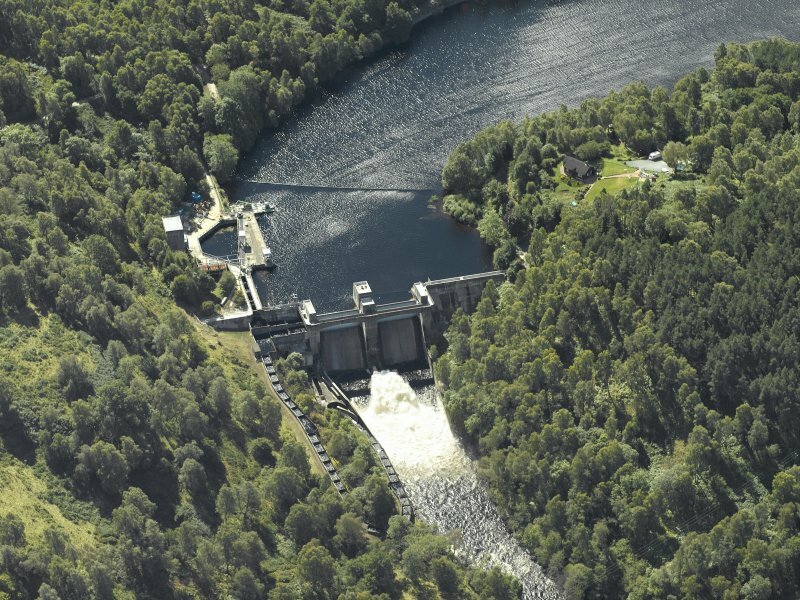 Oblique aerial view centred on the dam, taken from the NW. 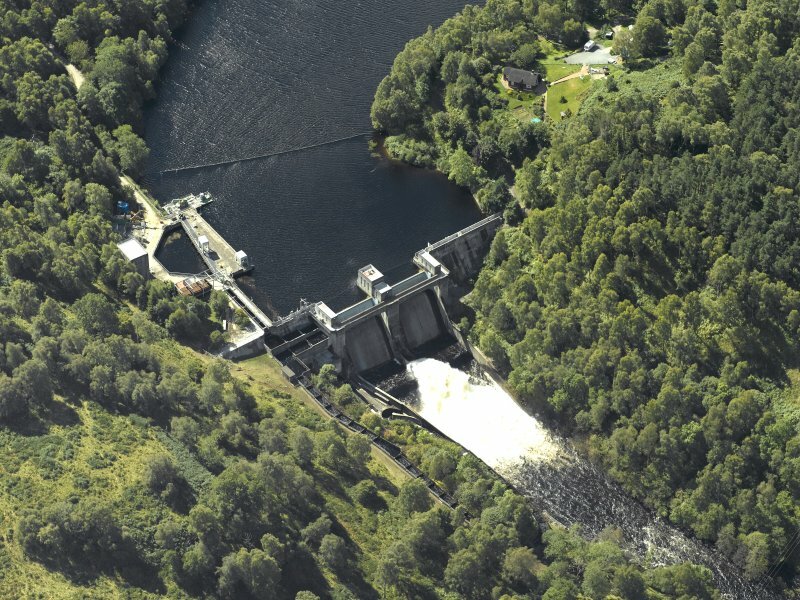 Oblique aerial view of Clunie Dam, taken from the SSW. 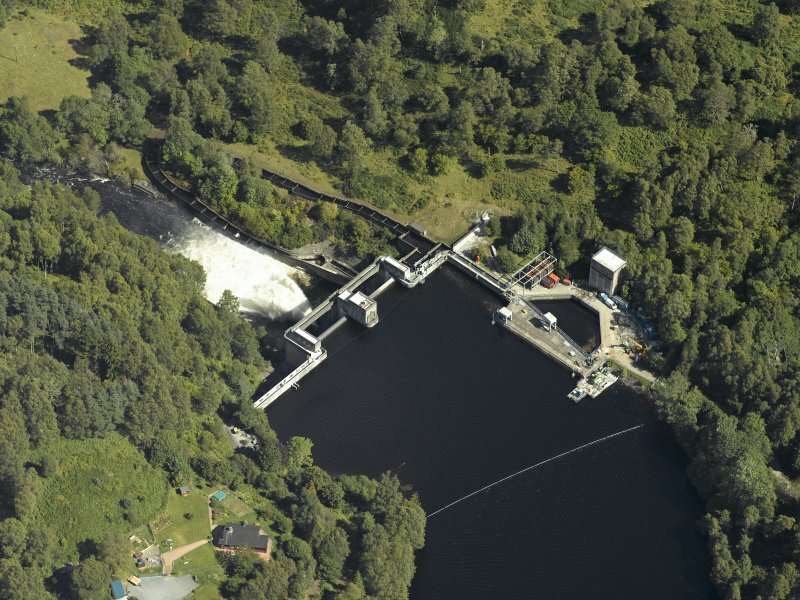 Oblique aerial view of Clunie Dam, taken from the WSW. 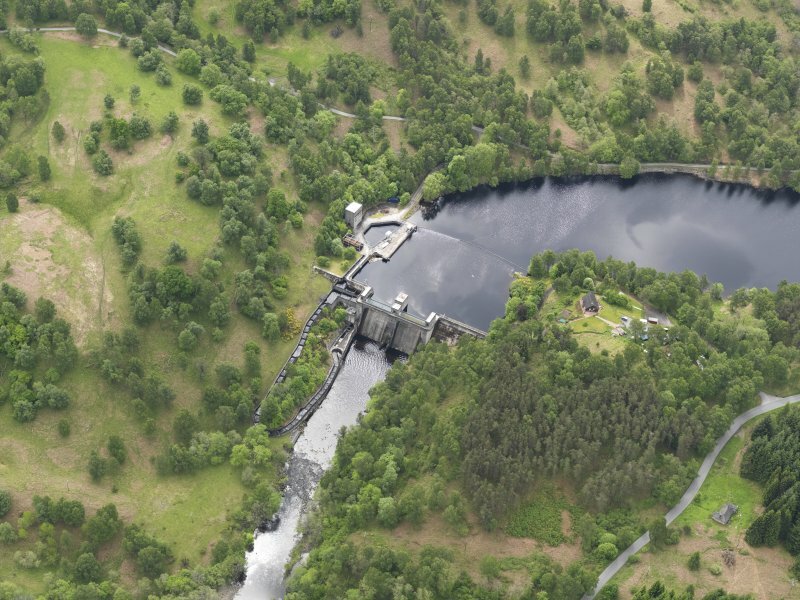 Oblique aerial view centred on the dam, taken from the SW.
Oblique aerial view of Clunie Dam, taken from the SW.
General oblique aerial view of the reservoir with Schiehallion in the distance, taken from the E.
Oblique aerial view centred on the dam, taken from the NNW. 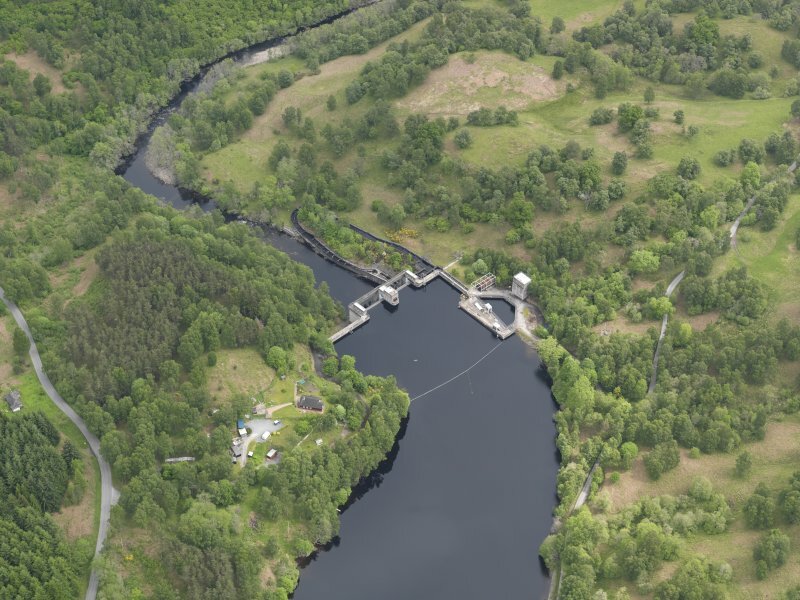 View from NE showing fishladder, in foreground, and dam, in background, under construction. 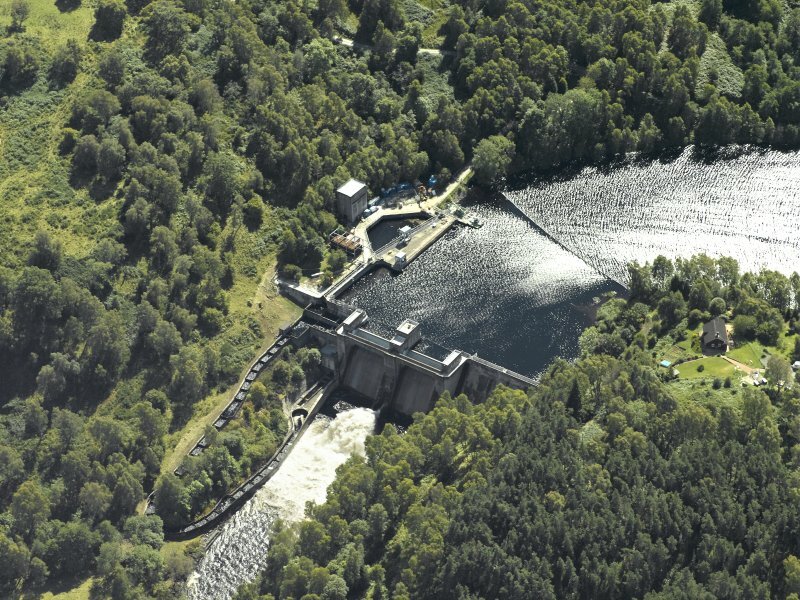 Copy of 'Clunie Dam. 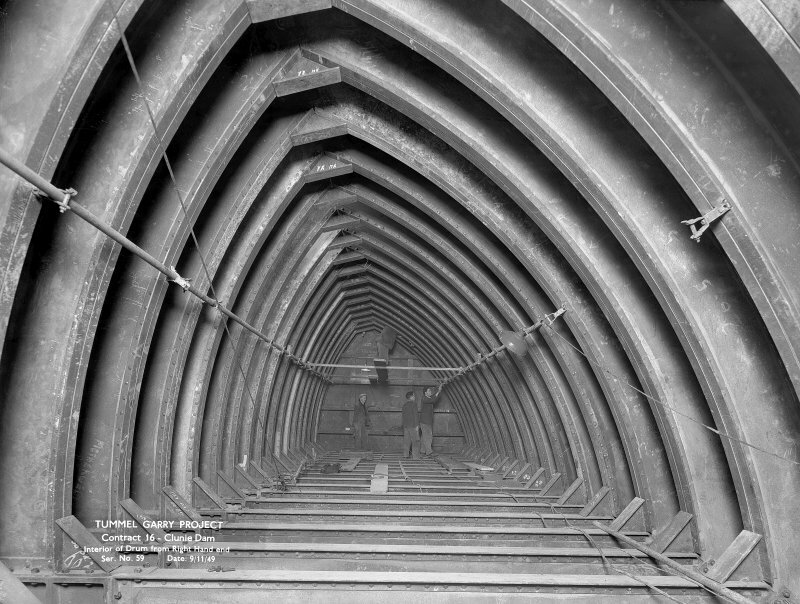 General view of Fishladder. Ser. No. 86. Date: 9/11/49'. 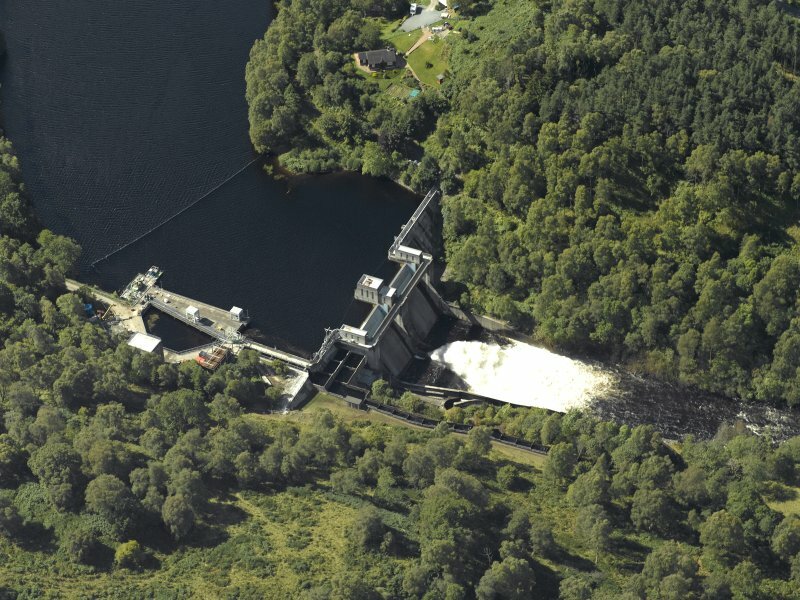 General view from N. Scanned image of 'Clunie Dam, Downstream View'. 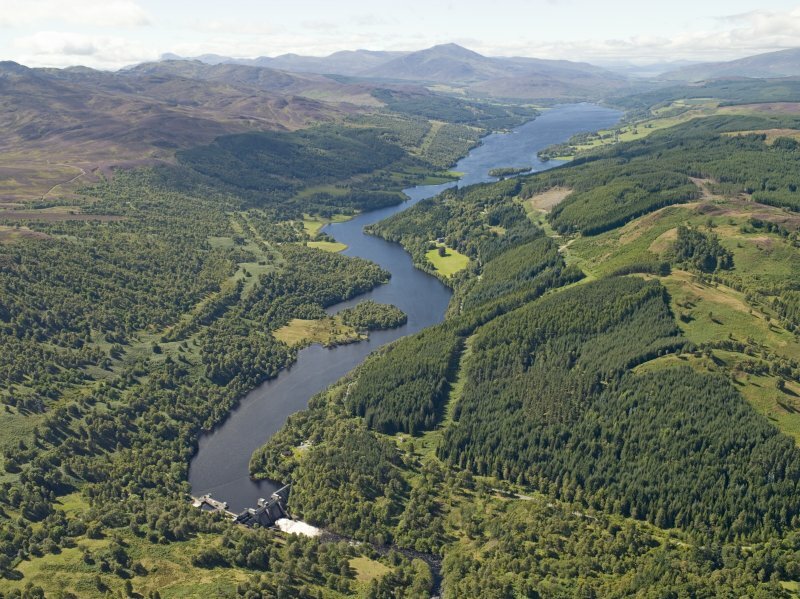 Oblique aerial view of Clunie Dam, taken from the S.
Oblique aerial view centred on the dam, taken from the S.
General oblique aerial view of the reservoir with Schiehallion in the distance, taken from the ENE. Location formerly cited as NN 8843 6028. 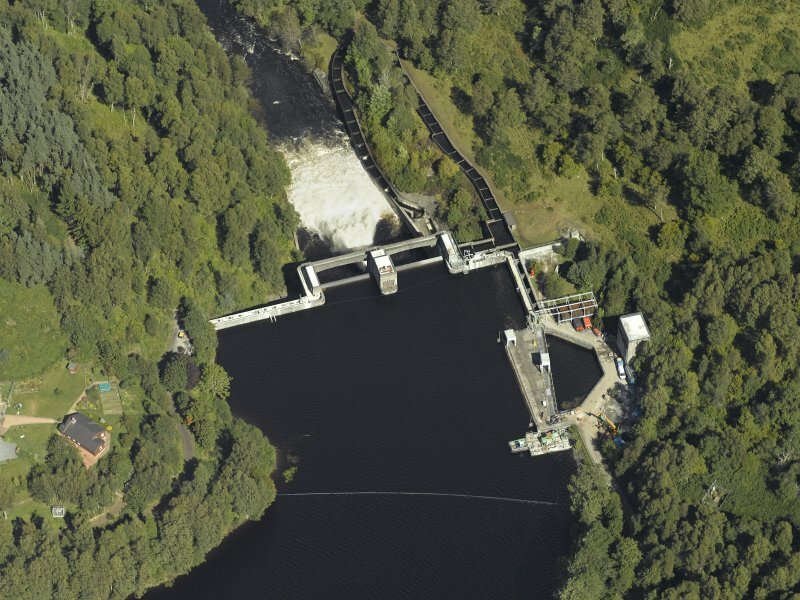 Not to be confused with Port-na-Craig (Loch Faskally) dam, Pitlochry (NN 93542 57719), for which see NN95NW 62. 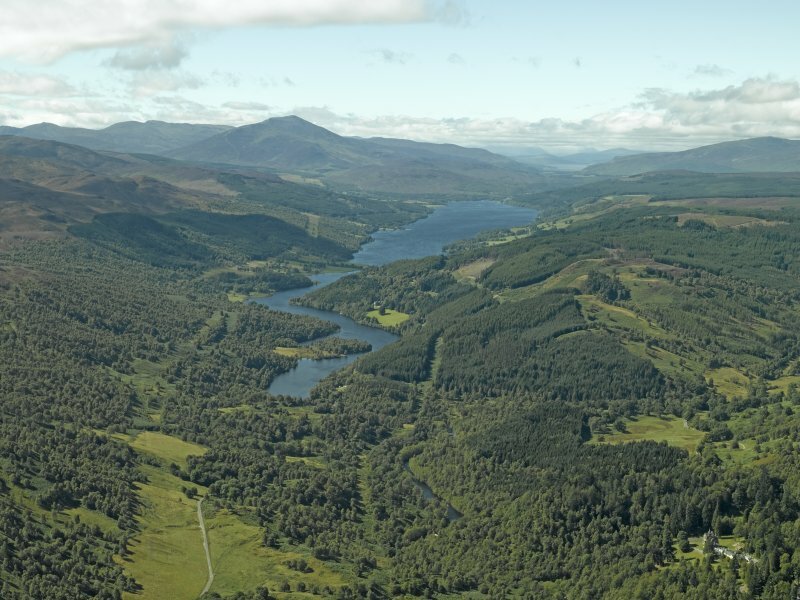 For (associated) Loch Tummel (reservoir), see also NN85NW 22. 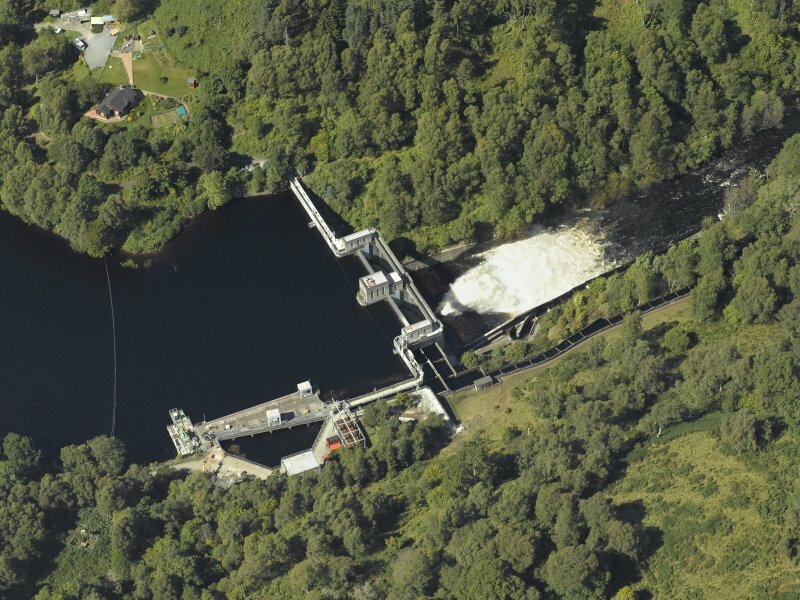 This dam is situated at the junction of the parishes of Dull, Blair Atholl and Moulin. 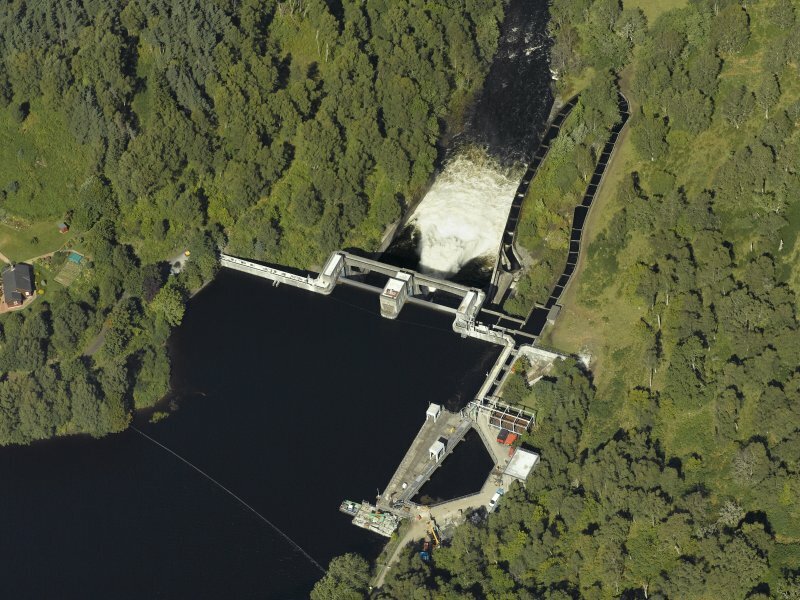 Information from RCAHMS (RJCM), 20 February 2006. 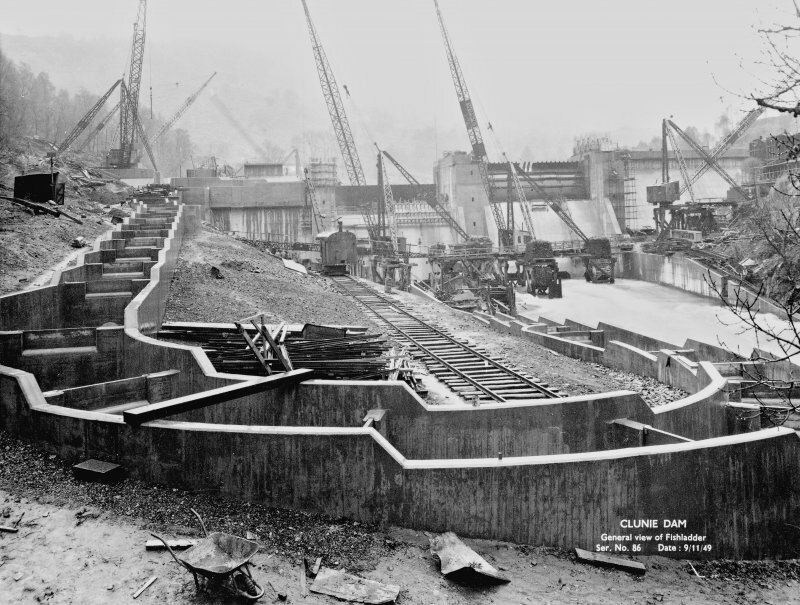 Mass gravity dam completed 1951. 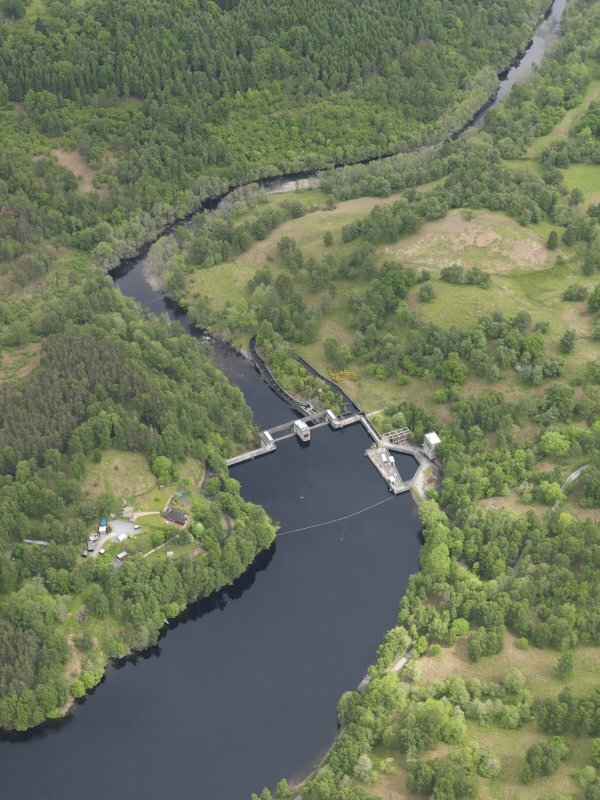 Clunie Dam is sited in the gorge of the Tummel about two miles downstream from the natural outlet of Loch Tummel. 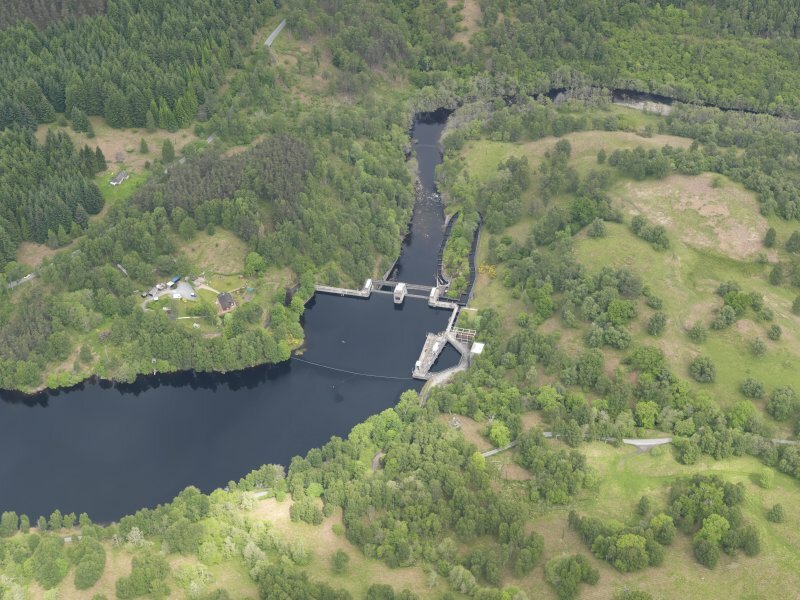 It raised the level of the loch by 17 ft and more than doubled its length. 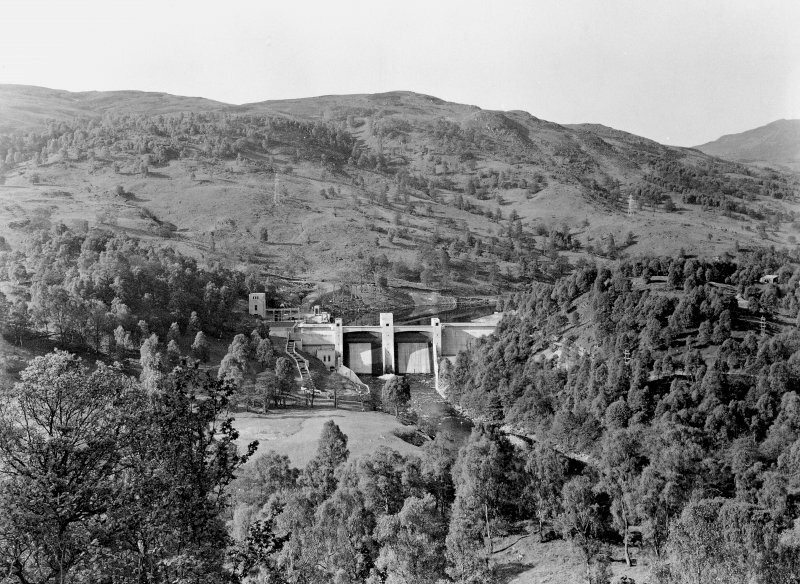 The mass gravity dam completed in 1951 is 65 ft high and has two 60 ft long automatic drum-type spillway gates for flood control which automatically lower themselves to the extent necessary to pass flood water. 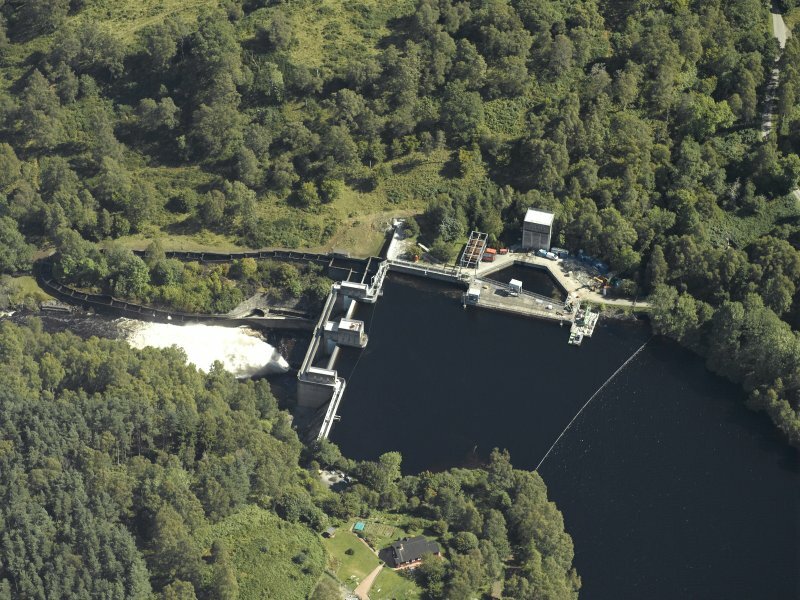 A fish pass with 43 pools enables salmon to surmount the dam. The main contractor was George Wimpey & Co.